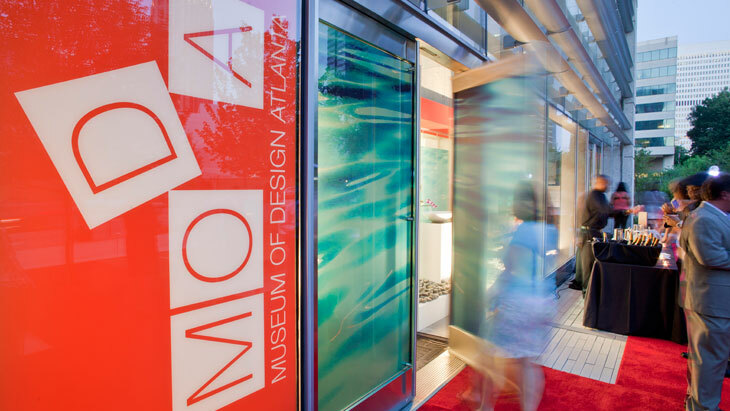 With a rich 110-year history as a leading kitchen and bath manufacturer and a US headquarters in Alpharetta, GA, Hansgrohe and its designer brand Axor, was a natural partner for the Museum of Design Atlanta (MODA). A team of curators from the museum, together with Bangert Verlag, an award-winning, international design exhibition curator, and water experts from Hansgrohe/Axor partnered to create a four-part, visual journey that explored the evolution of the bath from the early 19th century Europe to today’s global market. While the exhibit covered a variety of manufacturers including Duravit and Hoesch and gave a general overview of the rich history of the bath, the exhibit was named after Axor’s proprietary and unique WaterDream concept. An independent, open process based on dialogue with partner designers to create product and room designs that approach the concept of the bathroom in their own unique ways, Axor’s WaterDream invites the designers to re-conceive the bath; to create the bathroom of the future. The work of influential designers like Philippe Starck, Jean-Marie Massaud, Patricia Urquiola and Ronan & Erwan Bouroullec, all of whom have made significant contributions to the Axor brand and the development of the modern bath, were shown throughout the museum’s galleries. The exhibit’s dynamic graphical timeline with multiple displays allowed visitors to discover important milestones in the bath’s development, including game-changing Axor products and innovative applications.